In spite of temperatures peaking in the low-50s, local cover band The GruveZone came ready to entertain passing pedestrians in the neighborhood for Cooper Young Night Out. The sparsely populated streets were no indication of the excitement the band brought as it played scores of great cover songs for the few that didn't let the weather determine their night. 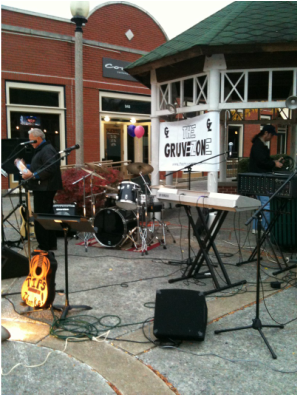 Visit The GruveZone to find out more about this band — or maybe even book them for a 'night out' of your own!